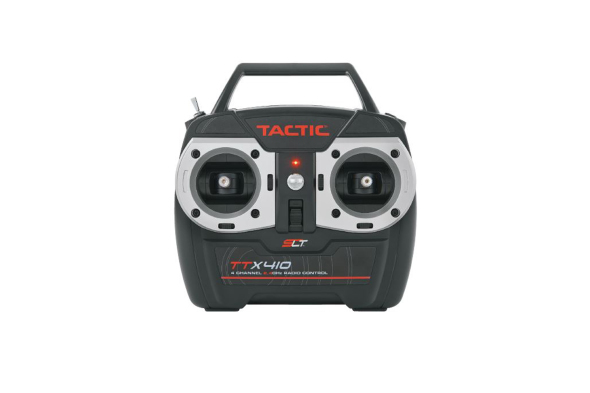 Whether a pilot is just starting out or upgrading, the Tactic TTX410 has a lot to offer and at a very reasonable price. This radio system gives a pilot the dependability of 2.4GHz technology, with the added security of Secure Link Technology. SLT is the the same protocol used in the receivers of all transmitter ready (Tx-R) aircraft. With the push of the bind button, a pilot can create an instant, unbreakable link between transmitter and his aircraft. Affordable and thoroughly dependable, the TTX410 is an outstanding investment for today and a great system for your flying future.